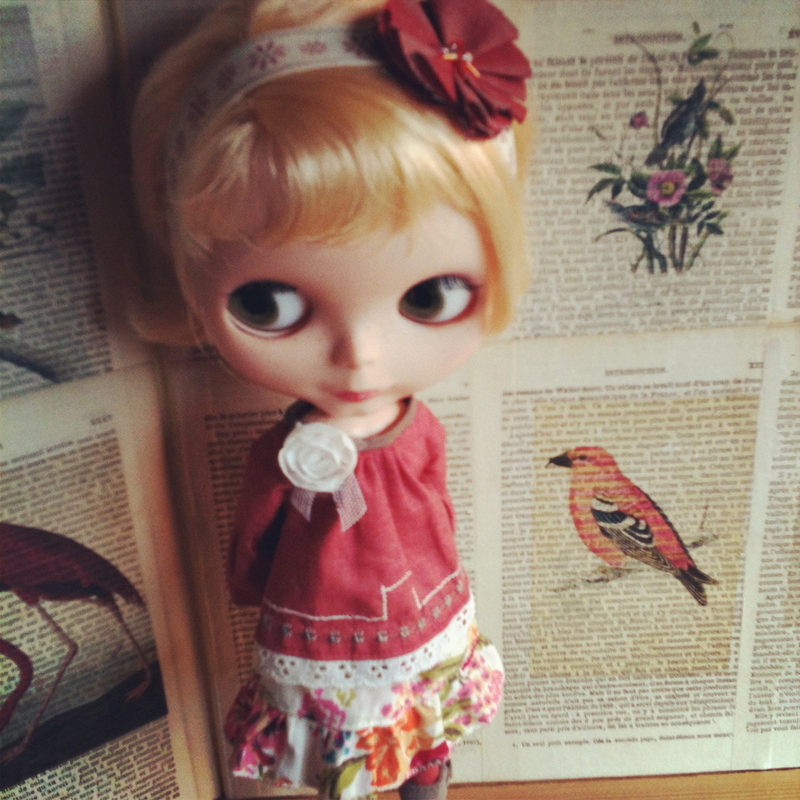 Using random.org me and the moshi elves are planning a little giveaway of this outfit that Lola is wearing. If you are interested in taking part in the draw then please add a comment at the end of this post giving us your Flickr ID, so that I can contact you directly when the draw closes. I will also announce the winner here so you can check at the end. I will allocate a number to each comment, ie. First comment will be No.1 and so on, and then get Random.Org to select the winner. Draw will take place Friday 15th June 2012 at 5pm. Ohh, the first coment! Thanks by the "give away". Ohh! I would like to join! What a beautiful outfit, thank you so much for giving us a chance to win it. My girls would be over the moon if we're the lucky ones! Thank you for the "give away"! Thank you for being very sweet and offering up this fab little outfit in a "give away"
Hilary, I just love all of your creations. Each item is so individual and gorgeous, just like this one. Thanks for th opportunity to win it. My Flickr name is Codey Boy. Fingers crossed for me little elves! I love your clothes and would be thrilled to win . Thanks for the chance. My Flickr name is rosessimone. Hilary you are such a sweetie <3 and as you know we love your stuff! That is so exciting! I love your clothing, especially the cap sleeve blouses/dresses. I hope my girls get that beautiful outfit set! Awesome--thanks, Hilary (and the elves)! My girls love your fashions. you are the best, Hilary, and you know me and my dolls just ADORE your work!! Such a lovely outfit! We are big Moshi-Moshi fans here too! <3 Thank you Hilary! 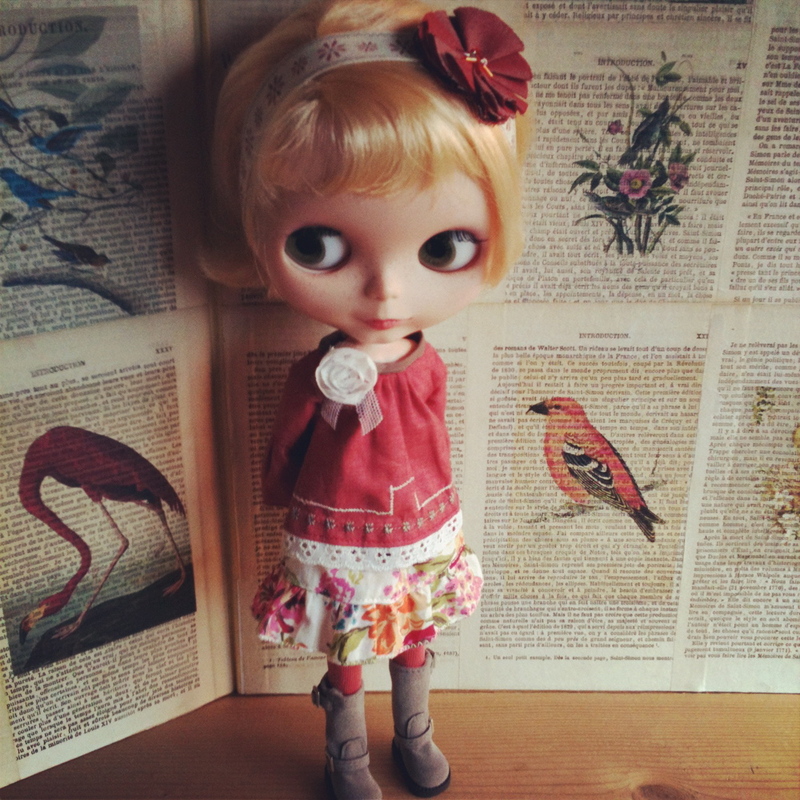 Thank you so much for giving me the chance to win such a lovely little outfit. My Flickr id is: For the Love of E.
I would like to join! I love your creations! Oh how my sweet girl would love this outfit!! Thank you for this lottery! What fun! Ohh, I would love to join in! I love your work. :) My flickr i.d is sugar-mouse. Thanks so much! Oh I wish I'm in time to take part in this... what a cute giveaway :D thanks!